I feel that ordinary frozen desserts will never be the same after I have eaten this. It is totally divine. And so simple. At a recent kids party for Little A, the adults all got talking. I mentioned the feijoa muffins I recently baked, and I was amazed at the animated and discussion that resulted about feijoa. I am learning, after never having eaten feijoa before, that once you have tried them you never go back. And if you don’t have a feijoa tree, you do everything you can to get your hands on some. They are apparently not cheap. 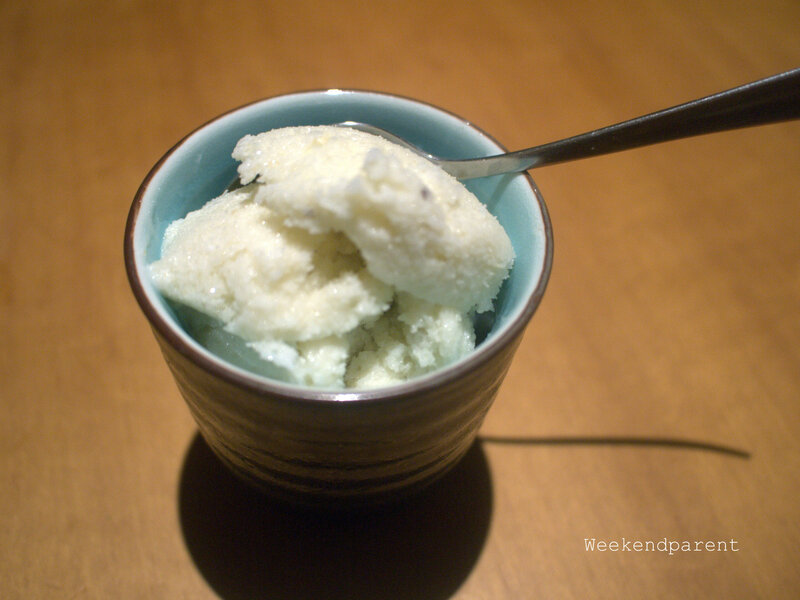 Inspired by these discussions, I decided to try making feijoa frozen yoghurt. While fiddly to prepare the feijoa as my fruit are small, this is extremely easy to make. Scoop out the feijoa flesh and place in a food processor. Add the remaining ingredients and whizz around for five minutes or so until frothy. Place back into the food processor and combine for several minutes until it is smooth like a soft serve. This will help to break up ice participles. 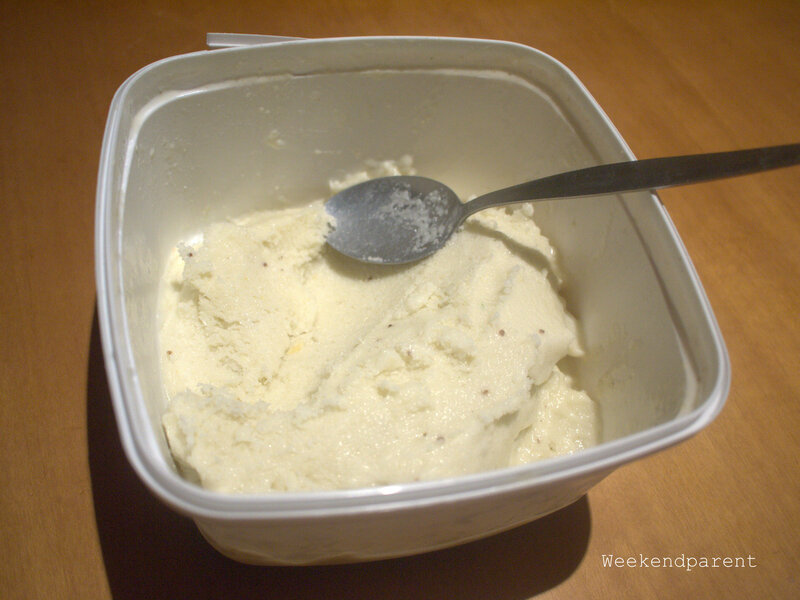 Put the mixture back into the plastic container and freeze until set. I was quite dismissive about feijoa. They looked hard and horrible. But they taste of bubblegum wonderfulness, so nice with dairy as it is here. Not quite a custard apple, not quite a kiwi fruit. Quite unique.